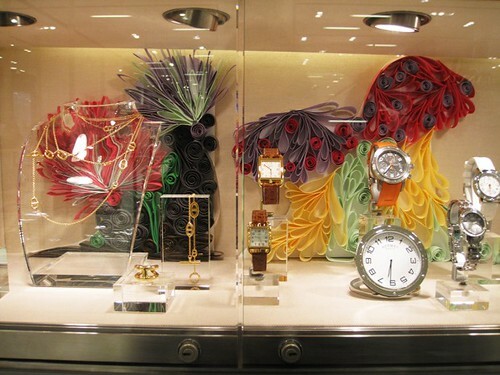 Let it be said Best Window Displays is a lovely place to fritter away time. 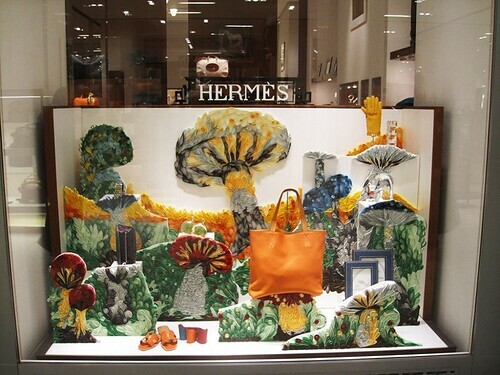 It's where Hermès windows decorated with quilled mushrooms were spotted. 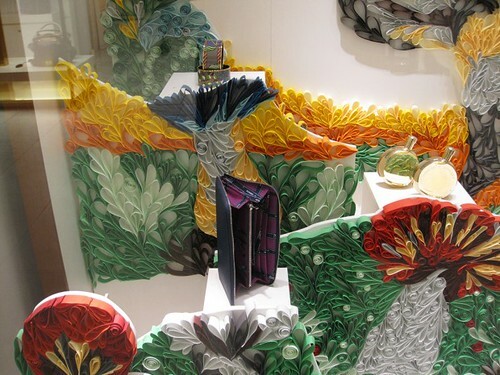 Created by Belgian artists, the colorful scenes were located in Dutch department store de Bijenkorf last winter. And a little something else from nature... Alison Lang, a Seattle area graphic artist and letterpress designer wondered what to do with strips of cover weight paper that resulted from a card trimming session. 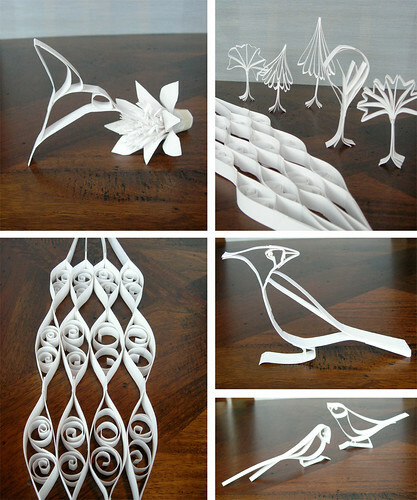 She wound up creating this collection of sweet silhouettes. I spy a hummingbird sipping nectar, blue jay, trees, perhaps an ice floe, and this dear owl. Perhaps only another paper lover would understand the satisfaction of spending an afternoon in such a pursuit. awesome art, really love the mushrooms,what a great way to display it!!!! This is truly awesome ! Wow, I almost missed the purse in the first photo of the store front. Amazing! And I love those white silhouettes too! I know what you mean, Molly... there's lots to see! Thanks for featuring my little project on here... I almost forgot how fun it was! I would recommend it for anyone- it's a great way to do a little "doodling". You're welcome, Alison, my pleasure! Lovely quilled mushrooms. The white silhouettes really are amazing. So much details with just a few strips are paper!! Talk about quilling reaching the "height of fashion"! 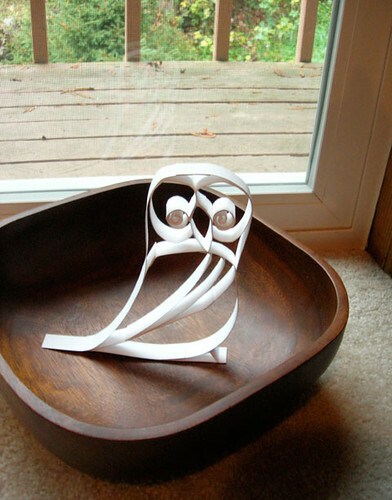 Love the quiet, concise lines of Alison's quilling. They say so much using so little. The store window is lovely, but it does sadden me that the artists didn't get the recognition they deserved. 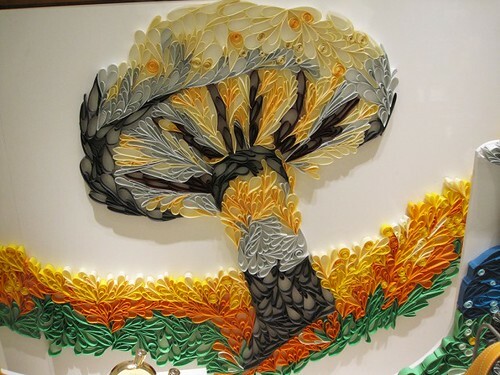 So wonderful---all those quilled art pieces! And thanks for sharing about SULIA.COM! Oh! Wow! This is absolutely gorgeous! Thank you for sharing.